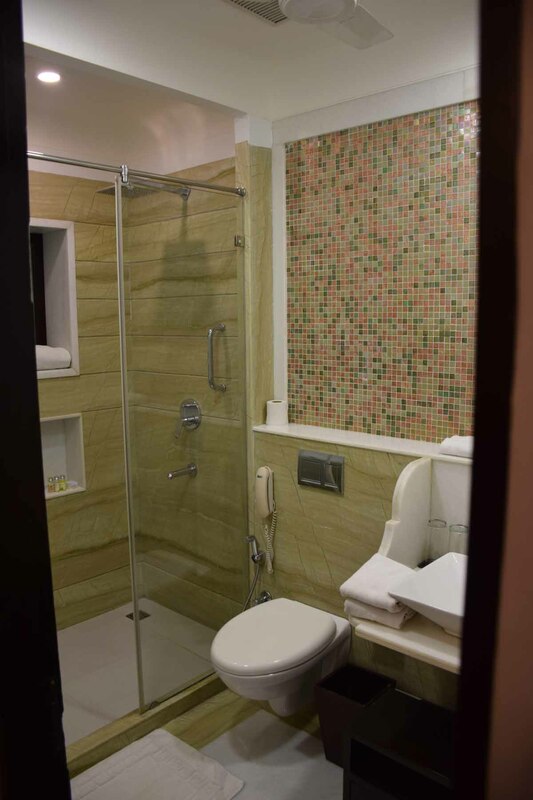 The Best Place I’ve Stayed in India? Sometimes things look a lot better online. You turn up and it just doesn’t match the photo. Other times you’re told you’re getting an amazing deal but you’re not really. 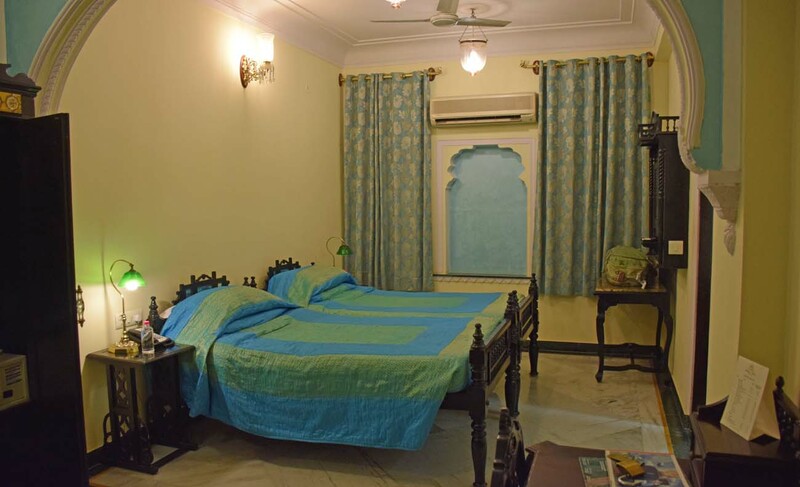 I ummmed and ahhhed about where I would stay in Jaipur. I was almost booked into a couple of places before, at the last minute, I chose Shapura Guesthouse because I was told I was getting a big discount on Agoda. Turns out firstly that I was. In fact, I paid around $65AUD a night, when the actual price was around $150. The pictures actually looked a bit a drab online too, in fact it was a lot nicer than I was expecting. I can absolutely say that Shapura House (they have another hotel with a slightly different name) is the best place I’ve stayed in India. Ever. The room was large and comfortable, there is a relaxing pool area, the décor is… something else, and the service is impeccable. No. They did not pay for this post! I arrived late at night, I got to Shapura around midnight or slightly after. This must have been why missed out on my complimentary glass of champagne! No but seriously I didn’t get one, that’s my only gripe as every new guest I saw arrive during my five days was walking around with one in their hands. It’s about three or four storeys high, it’s really a series of connected buildings. 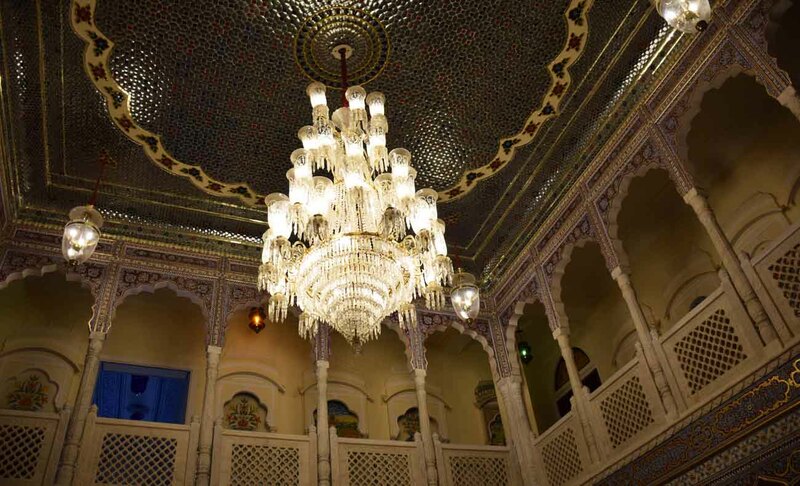 It’s got a bit of history too – it’s a ‘haveli’ – an historic building, and was once the home of local rulers. And it’s all amazingly maintained and spotless. 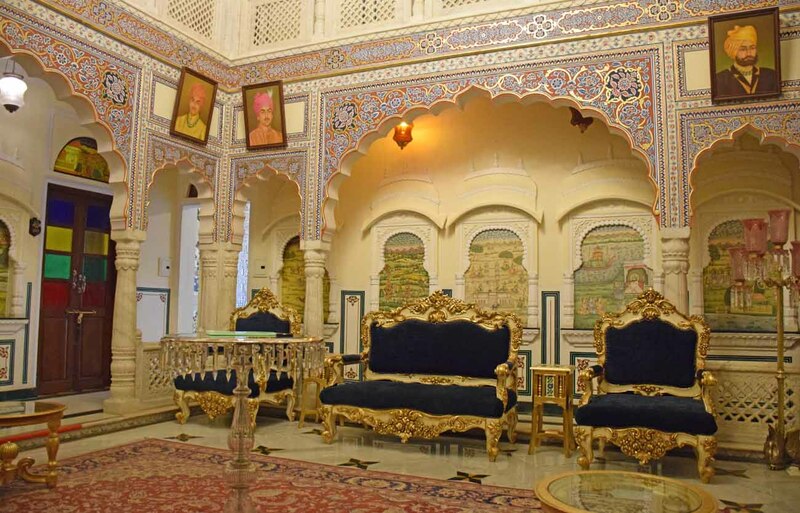 There is a bar and several sitting rooms which are decorated in bejewelled splendour. Photos do it better justice than words. As for service. Well. Wow! I don’t know how many people are employed by Shapura, but it seemed to be a LOT. There were people at the doors, people at the desk, people cleaning, checking if people at the pool needed something, and then there was a restaurant and a shop. And EVERY SINGLE ONE would acknowledge your presence with a friendly ‘Namaste’. The staff would do anything to help you. Amazing staff. The restaurant had a mixture of western and Indian food, great quality, I think open most of the day. Breakfast was a large and decent buffet too. Included in my room price. 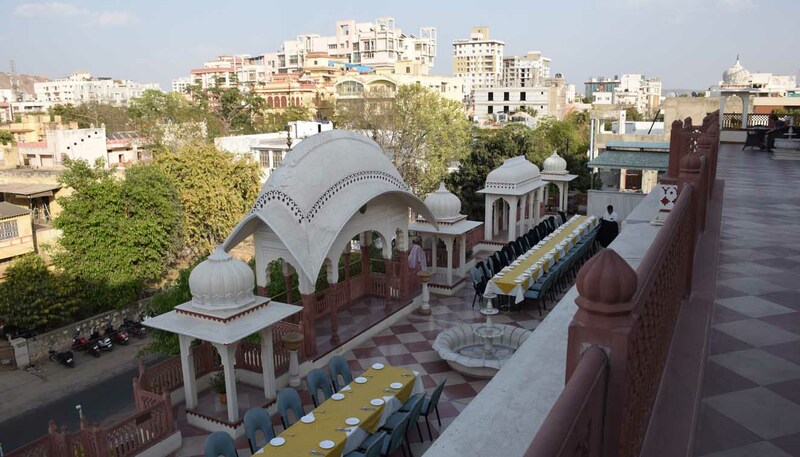 There were balconies with great views of Jaipur. 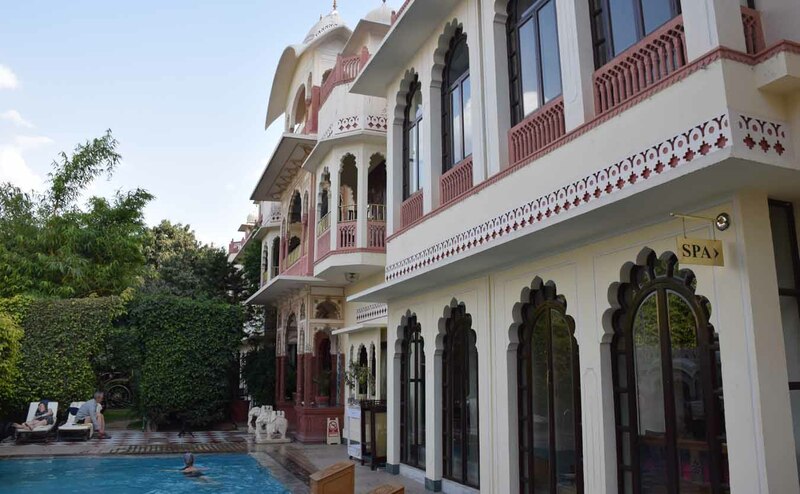 The pool was small, but great to cool off as it was pretty hot in March in Japiur (and it was only getting hotter) and I spent an afternoon in and around the pool, which in a pretty crazy city like Jaipur was much appreciated. Okay, negatives. Yes, there are! The location is not perfect. 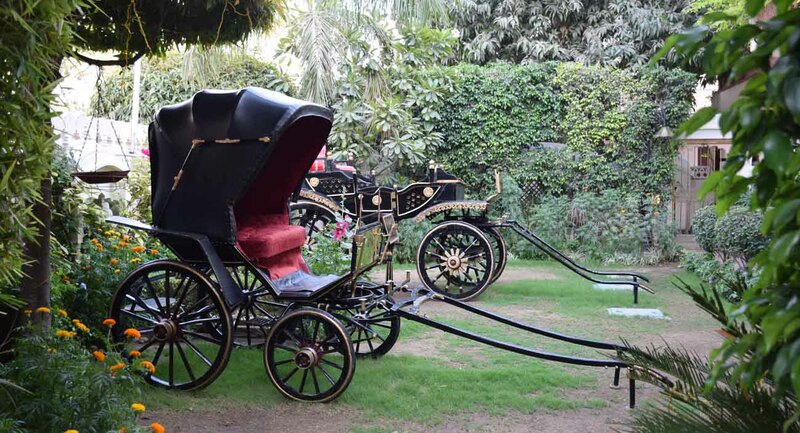 It’s a little way from the centre and the places to see, although many things like the Royal Gaitor, the Amber Fort and the Water Palace are not central anyway and you’ve got a bit of an auto-rickshaw ride to get to them. Not too far from the train station. More to the point it’s not an area blessed with loads of restaurants, I took an auto into town to get takeaway one night (awesome shish kebabs!). A couple of places to walk to, and a number of other similar guesthouses nearby with restaurants but similar fare and similar prices (not cheap at all by Indian standards, but then this was not a budget hotel!). All in all, this is an OUTSTANDING choice if you can afford it or if like me you get a huge discount! You know…the guest house reminds me of the hotel we stayed in Jaipur. It looks so similar from the pictures – the architecture and swimming pool.. btw, did they have rooftop restaurant for breakfast?